Did you know that teaching in the form of games is not only much more fun for children, but thanks to this interactive form of learning they remember much faster and easier the lesson taught? This is because games are the most natural way for children to expand their horizons. This is their way of creating their own circle of friends, of learning new things, of understanding what responsibility and teamwork are and of socializing. Put in a game situation where they have to find a solution to a problem or a logical task themselves, the children manage to do it without any problem simply because they are immersed in the game. While having fun together, they are able to find a quick solution, to reach the end of the logical task without thinking and without fear of failure or the unknown. Games with friends are a nice thing and we, the grown-up kids, know it best. We still remember how we spent the summer in the neighborhood playing popular games or games created by us. We remember and how we discovered our first friends, the first love, the first disappointment in these great summers, and we learned new things about ourselves and the world around us. And it has made us stronger, smarter and more open to the world. Unfortunately, our children gather less and less in the neighborhood to play offline, and they spend much more time playing computer games. We do not deny that there are many good online computer games, but they cannot replace the real fun and full of laughter live games with friends. The Escape rooms, which have become very popular in recent years and in Bulgaria are the one thing that can take our children out, offering them a really exciting and a true reality experience. How are escape rooms beneficial to children? Working together, children need to communicate with each other in the search for solutions to mysteries, and this helps both to form a good relationship between them and to build problem-solving skills. 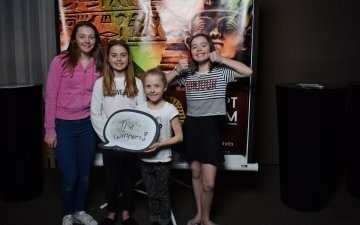 Escape rooms for children are filled with lots of interesting and exciting imaginative tasks that need to be fulfilled, and after successfully overcoming all obstacles, kids come out of escape rooms not only full of pride because of the successful outcome but also with that warm sense of connectivity with people with whom they managed to win together. Collaboration and teamwork are key. When children enter the mystery room, they have to work together in order to escape. Sometimes they have to work in pairs, sometimes all together in order to move to the next stage of the game. This teaches them to communicate with each other and to work together as a team. The time to escape from the room is only one hour, and if they want to win, children need to learn to think fast, solve logical tasks and puzzles without any delay, and develop their decision-making skills and adequate resolution of problems. The obstacles and tasks faced by children give them an opportunity to analyze the situation and to reflect on it. It develops their logical thinking and their ability to find a way out of every situation... and this is hard to learn from computer games or from school lessons. 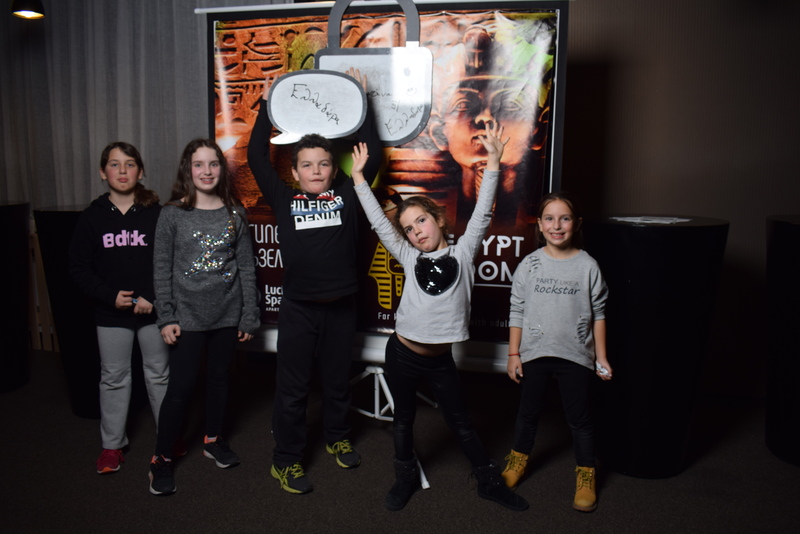 During and after the game, children are happy to have managed to overcome all obstacles and exit the escape room for 60 minutes. Situated in a situation where they should go out together, little ones learn that if they want to be successful they have to take responsibility for their actions. They realize that in order to succeed they have to give it all and work together with the others in the group. It should not be forgotten that they are children, and there is nothing better for them than to play with their companions and have fun together. And the escape rooms provide them with the ideal environment to do so. Within an hour the children are completely immersed in the game and with every riddle they solve, with every obstacle they overcome, their faces are shining in a smile, and their laughter fills the whole room. Can all children have fun in escape rooms? Usually most of the escape rooms require children to be 10 years of age in order to be able to embark on the adventure. This age limit is not set to discriminate younger ones, but simply because the games are of a certain complexity, which is too challenging for the younger ones. And younger children can hardly be left alone for one hour without mom and dad. Of course, there are escape rooms where are even smaller children are allowed to play, but this can only happen if the whole family is involved or if there is at least one adult accompanying with them. To make sure that the games are suitable for your children, you should check their terms and conditions. On their websites all escape rooms provide detailed information about both the escape theme and whether it is suitable for children or not. How to choose the right escape room for your child? Before booking your child's participation, make sure that the escape room is appropriate for his or her age. Take a look at the room and look for storyline information so you do not find that you have chosen a room that is too frightening or difficult. It is best to discuss with your child all the details in order to be aware of his or her wishes. A good option would be if you find an online game similar to the one in the puzzle room you have chosen and you see your child's reaction while playing it. If your child plays it with pleasure then you can safely book a game in the escape room. Mystery rooms are one of the most popular and preferred ways to celebrate your child's birthday. If you are wondering why to celebrate the birthday exactly in an escape room, we will immediately respond to you - because it is cheerful, interesting and because children really enjoy themselves. 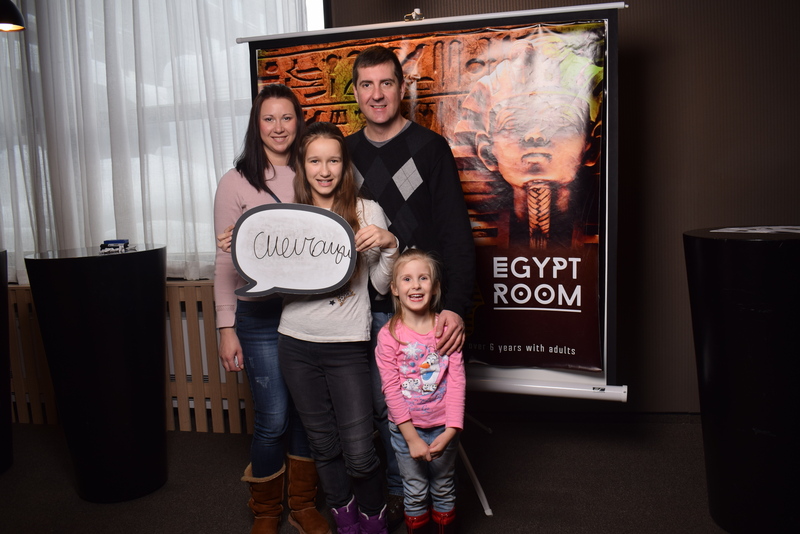 A family visit to an escape room during a holiday is also a very good idea if you are looking for a way to do something interesting and fun with your kids. Of course, you don't need an excuse in order to make your child and his or her friends happy by giving them joy with a fun story full of mysteries that they have to solve within an hour. Escape Rooms are a new and exciting world in which children feel at ease and entirely comfortable. This is the "world" of the younger generation who wants to go out and have fun with their friends. In this world of secrets and mysteries, children learn to work together to achieve one goal, learn to help one another, think logically and socialize... They learn to be more responsible and to be people who think and are not afraid of the challenges. Outdoor games are the most natural way for children to learn more about themselves, about others and about the world. Escape rooms provide not only the perfect platform for children to play and have fun, but also a wonderful way to discover leadership skills, skills to collaborate with others, and to help.